Pinoy Roadtrip: JETSTAR AIRWAYS: Are they Enforcing the Strict Carry-on Bag Weight Policy for Economy Class Passengers? JETSTAR AIRWAYS: Are they Enforcing the Strict Carry-on Bag Weight Policy for Economy Class Passengers? 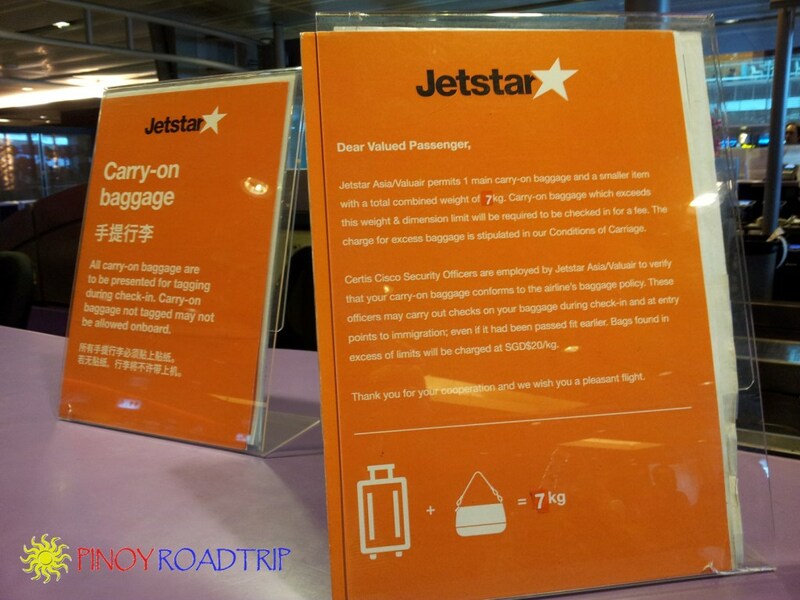 Since November 25, 2014, budget airline Jetstar Airways cut its carry-on baggage weight allowance from 10 kg to 7 kg. Other budget airlines, like Cebu Pacific, weigh only the carry-on bag and exclude additional items such as a handbag, laptop bag and camera bag from the weight restriction. (check out my post Cebu Pacific Carry-On Bag). In real terms, this translates to at least 10 kilos allowed as cabin baggage. The Jetstar cabin bag crackdown not only reduced the carry-on bag allowance from 10 kg to 7 kg, it also included in the weight restriction all the items you are carrying with you . This means that they weigh the ff: the carry-on bag (with dimensions that must not exceed 56 cm x 36 cm x 23 cm.) AND all items you'll be carrying inside the plane like your handbag, camera bag, laptop, etc. ARE THEY ENFORCING THE POLICY? YES! They require passengers to go to a separate counter to have their cabin baggage and all items they're bringing inside the plane to be tagged. So the cabin officers at the boarding gates can identify if the cabin baggage have been weighed. This means, whether or not you're checking in at the airport check-in counter, self check-in kiosk, or have done web check-in, you're still required to pass by another counter to have your cabin bag tagged. 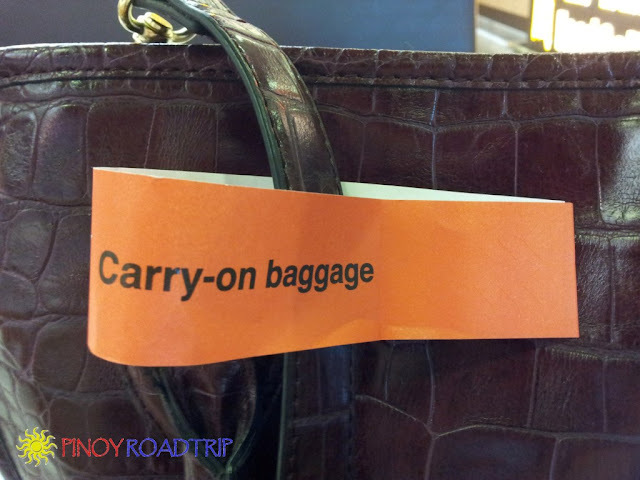 At Manila International Airport Terminal 1, they put a tag on all your carry-on items while you're in line at the check-in counter. Then when it's your turn to check-in, that's when they weigh all your carry-on items. If you're in a group, your bags are weighed together and weight allowance is 7 kg multiplied by the number of persons in your group. At Changi airport, after checking-in at the airport counter, we go to another counter to have all our carry-on items weighed. If the items/bags meet the weight limit, the items/bags are tagged. If you checked-in at the self check-in kiosk or via web check-in, you still have to pass by this counter to have all your carry-on items tagged. If you don't have your carry-on bags tagged, it will not be allowed onboard the plane. 1. You are allowed only 1 main carry-on baggage and a small item with TOTAL COMBINED WEIGHT of 7 kg. 2. Certis Cisco Security Officers are employed by Jetstar to verify that your carry-on baggage conforms to the baggage policy. 3. Certis Cisco Security Officers can check your bags at check-in, at entry points to immigration and at the boarding gate. 4. Bags not tagged will not be allowed onboard.